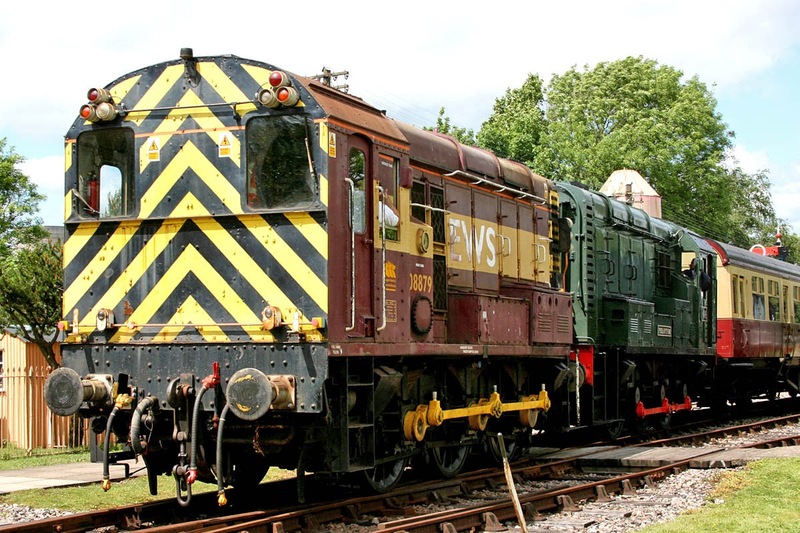 WNXX.com reports that DBS have stored all of their Class 08 / 09 shunters, with the exception of 08623 at Hoo and 09106 at Warrington. Class 66's take over some of the duties. 08879 survived to this point, latterly at Oxford Hinksey. Seen here at Didcot on 25th May. 08904 was reported to be at Eastleigh to this change.